Replacing a broken windshield is probably something that every car owner wish to avoid. However, there’s always a time when you have to spend money on a windshield replacement. Basically when there’s any damage on your windshield glass, often times you won’t have to replace it. Texas Windshield Service specializes in rock chip repairs. So whenever there’s damage, the first thing you should do is to see whether there’s a possibility for you to repair it instead of installing a new one. Call one of our professional customer service replacement glass experts if you have any questions. Various things can happen that make you have to either repair or replace your windshield. Some of the most common ones are cracks, scratches, chips and also hazy glass. Scratches are usually easy to repair, only require a little maintenance and your windshield will be good as new again. While chips and cracks will very much depend on the case. No larger than a half dollar, then a chip can be repaired easily, as for cracks, the size shouldn’t b e bigger than a dollar bill. If the damages are worst than that, then you may need a windshield replacement. These are not the only guidelines that you can use to determine whether you need a windshield repair or replacement. In most cases, it just takes a tiny run or cracks to cause a broken windshield. This happens when the chip is located in your line of sight and the damage is causing it to leave a mark on that spot. Also when the crack is located around the edge of the windshield, it’s likely that you will need to get it replaced. A broken windshield is not a simple matter, it relates closely to your safety as well as your passengers. A windshield is not only protecting you from road debris, wind, or weather, it’s also able to absorb the impact of a collision, preventing hard objects to enter the car and hurt the people inside, also preventing you or your passengers to be ejected out of the car during an accident. 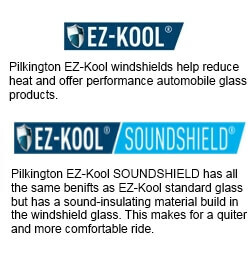 Another important role of your windshield is to support the roof of the vehicle. Therefore it’s important for you to hire the right people to work on your broken windshield glass. It’s possible you can change it yourself with the help of a glass mechanic. It’s important to have a trained auto glass technician that understands the mechanics of repairing your broken windshield. Auto glass is a separate industry in automobile services. Your best option is to go to a certified replacement windshield company. They typically specialize in auto glass and other things that are related to broken windshield glass. They know the proper procedures and they also understand the safety standards.